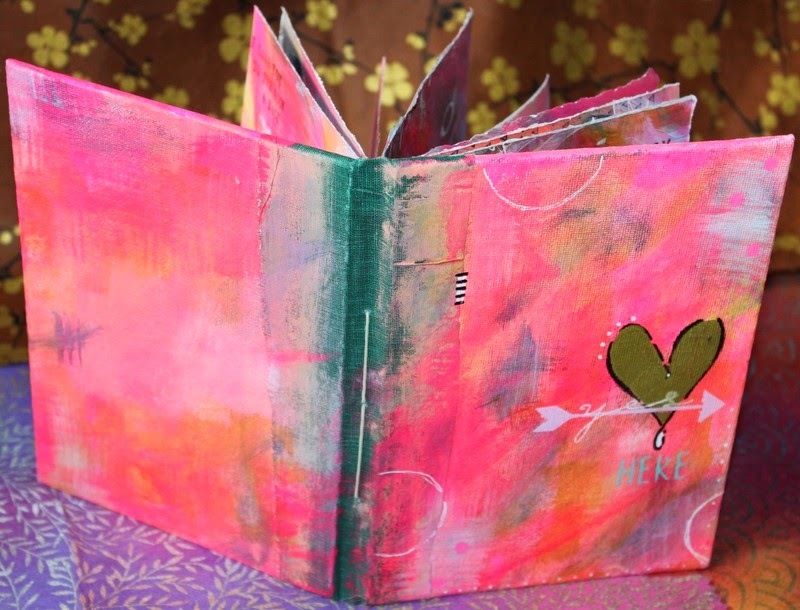 By popular demand, I'm teaching a brand new mixed media class. Roll up your sleeves, don your aprons and prepare to get messy! We'll explore a variety of mediums including watercolor, gouache, and much, much more. 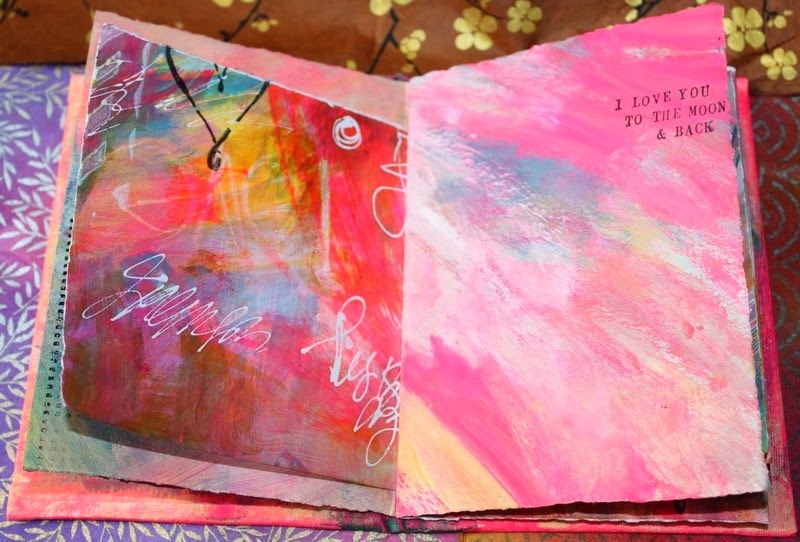 Create richly painted pages which you will assemble into a canvas covered book. Learn new ways of exploring color and layering in this unique four hour workshop. Supply list: Apron, tacky glue, scissors, bone folder, cork back metal ruler, roll of waxed paper, roll of paper towels OR an old rag, permanent black inkpad, and 1" brush to paint and glue (I like chip or bristle brushes).